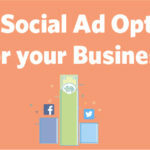 ﻿ Paid Social Ad Options For Your Business » Red Mango Marketing! No, I’m not asking about your trip to Vegas. Pay-to-play refers to paid social advertising options for businesses looking to improve their social media marketing results. With more and more brands turning to social media marketing, paid ads give you more visibility and exposure among busy social feeds. Unlike traditional advertising channels, social media allows you to target and focus your advertising in much more efficient ways. Data helps you know who is interested in seeing your ad and helps you reach them. If you’re new to social media marketing, keep your brand objective in mind when researching different kinds of social media advertisements to find the one best suited for your audience. If you’re still wondering why you need to pay for advertising on social media, or are looking for the benefits of paid social ads for your business, the answer is simple: wider reach, more visibility, enhanced brand awareness, in-depth market insights, and targeted advertising. Platforms like Facebook prioritize posts by friends and family, making it hard for a brand’s posts to make it to the top organically. However, with paid social ads, you can ensure that your ad is noticed, stays top-of-mind, and is seen by the relevant audience. Social media platforms are designed in a way to help businesses achieve their goals using data. With the right insights, you can enhance your social ad campaigns, learn what your target audience is looking for, find them, get your ad in front of them at the best time, and a lot more that makes your investment worth it. Worried about cost? One form of paid social ads, the pay-per-click model, gives you complete control over your social media budget. You pay only when a user takes the action that your ad promotes. On Facebook, the average cost per click across industries is $1.72. Before you get started, it’s important to know the goal you’re trying to accomplish. When it comes to social ads, there are so many places you can focus your efforts. Whether you want to get more sign-ups for your newsletter, generate sales leads, create awareness, or boost traffic to your website, social ads can help you accomplish your goal. Facebook allows you to create both image and video ads, with supporting text to reach your target audience. Image ads are best for displaying products, whereas video ads are preferred for informative, or entertaining content. 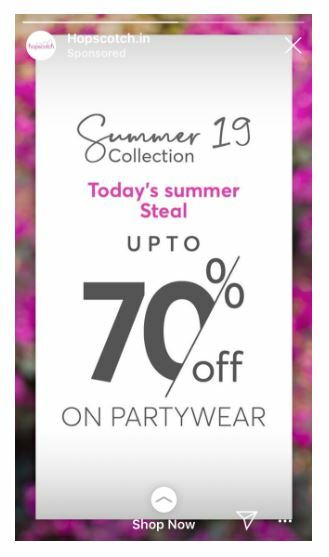 For example, if you’re a business that sells clothing, an image-based ad would clearly display a new product, or the top pick for the season. But, if you’re an organization that wants to tell its story, or show the work you do, a video would better achieve your goal. If your goal is to generate leads, you can create a “Facebook lead ad” campaign for a quick, one-click sign-up solution, or to redirect people to a landing page on your website. For example, if you use Constant Contact for email marketing, you can integrate it with your Facebook Lead ads and automatically add new contacts to your mailing list. The other option Facebook provides is carousel ads. This is a single ad with a text block, and multiple images. These kinds of ads are best for displaying multiple products, a new collection, or telling a story through powerful images. Instagram allows you to create both image and video ads that can be used to display new products or share information. The one thing that brands must keep in mind when creating an Instagram video ad is that the video will start playing as soon as someone scrolls to it, without the audio. For this reason, you may want to create an ad that doesn’t solely rely on audio to make an impact. Like Facebook, you can also display carousel ads for Instagram that display multiple product images, or tell a story, one frame at a time. Instagram Stories are a popular, and growing feature. As a result, an effective way to grab a potential customer’s attention is with story ads. 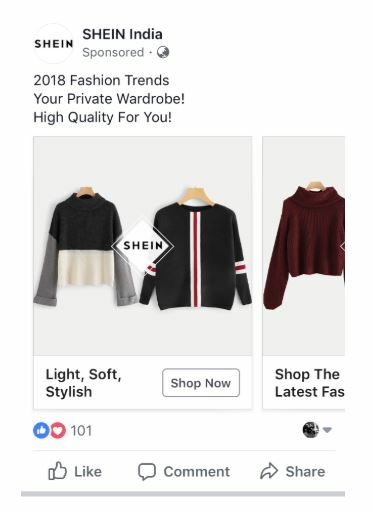 These are ads that pop up in a user’s story feed, so they can click through to your products. Twitter is known for quick, catchy, and short conversations that are entertaining, insightful, or informative. Using Twitter ads for your small business can put you right in front of a large audience. 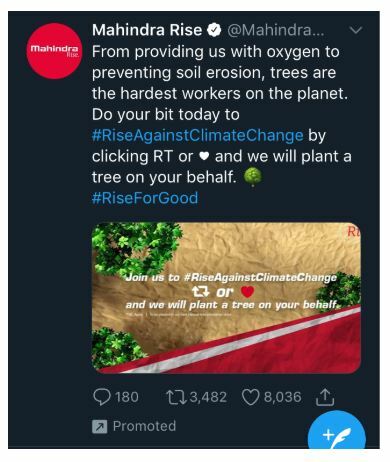 When you enable Twitter Promote Mode, you can automatically promote the first ten organic Tweets you put out each day, for an approximate cost of $99 a month. The auto-promote option boasts approximately 30 organic new followers, and a reach to around 30,000 people, every month. This option is best suited for those who have a lot of interesting things to share through the day, and want to maximize their reach. If you don’t want to spend that much, or prefer controlling what posts you promote, you can create individual Twitter ad campaigns too. These ads can be image or video-based, and can be aligned with a business goal. This option is best suited for businesses running on a smaller budget, who want to have more control over their ads and spending. 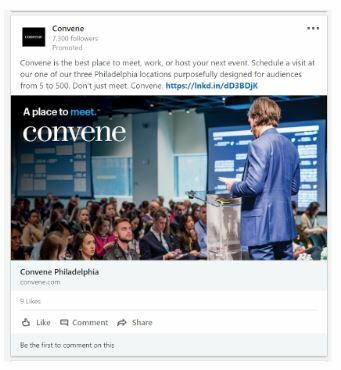 With the reputation of being a social platform for professionals, LinkedIn offers you the chance to get noticed by people from, and looking for, different businesses. Sponsored, or paid, content on LinkedIn works best when included with a catchy 150 characters headline, and a 1200×620 pixels image. Try to create content that people will find interesting —not sales-y. Another option that LinkedIn offers are InMail message ads. This approach is similar to email marketing, where you can send personalized messages right into a potential customer’s LinkedIn inbox. Additionally, the message is only received when a user is actively using the platform to improve the chances of the message being read. While this post covers ways to get started with advertising on the four core platforms, small businesses may also have a big opportunity on other emerging channels, such as Snapchat, Pinterest, YouTube, Spotify, and more. These platforms are all making it easier for small businesses to take advantage of their ad capabilities, albeit at a more advanced level. Consider your target audience. If your ideal customers are spending a lot of time streaming music on Spotify, it may be a good idea to start serving them ads while they listen. When you set out to start paying for social media advertising, you’ll be faced with many different social platforms, and kinds of ad campaigns. Once you start seeing the returns, and understand what’s working best for you, dive deeper to explore the other social paid ad options. Social media platforms are dynamic, buzzing with brands and customers. Paid social ads help you rise above the noise, and make an impact. For a small budget you can get big returns in terms of new customers, enhanced website traffic, wider brand awareness, and create a social presence that speaks for your brand. The post Paid Social Ad Options For Your Business appeared first on Constant Contact Blogs. This entry was posted on Wednesday, March 20th, 2019 at 11:16 am	and is filed under News & Updates, Social Media Marketing. You can follow any responses to this entry through the RSS 2.0 feed. Both comments and pings are currently closed.